Estate Agents and Landlords sometimes find that they need to have a property (domestic or commercial) cleaned when a rental agreement expires and the tenants move out. The service that Mum’s Helping Hands provides will ensure that the property can be placed back on the market in a clean and well-presented state. Mum’s Helping Hands works with several estate agent firms and landlords, helping their clients to minimise the turnaround time between tenants and hence maximise the revenue return from the property. As with our Domestic service we are able to provide both Estate Agents and Landlords with confidence in what we can provide. If you’d like to see the full list of everything we do in an End of Tenancy Clean, see our list of cleaning tasks click here. If needed we can include Carpet Cleaning as part of the package. Shower Heads have been found to harbour high rates of potentially harmful bacteria. Click here for more information and to read about our specialist descaling service. If you are interested in our property maintenance service for landlords, see our info page. 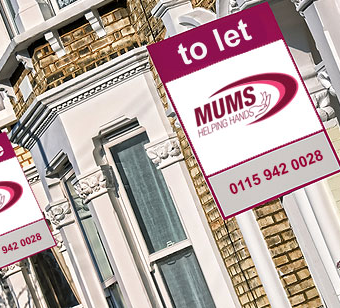 We at Mum’s Helping Hands specialise in end of tenancy cleans and have vast experience in knowing what estate agents and landlords expect. When moving out of a property you are normally required to have a professional end of tenancy clean or deep clean, move out clean but choosing the right company to do it can be difficult. Every inch of your property will be cleaned from top to toe to help you make sure you get your deposit back. We have specialised steam cleaning machines, and everything else needed for cleaning your place to the highest of standards. We also offer garden maintenance and carpet cleaning, upholstery cleaning and mattress cleaning if this is required by your inventory. Our smart and professional cleaning teams are hard working, and know exactly what they are doing so you can just leave them to get the job done. Our end of tenancy cleaning department work to a strict cleaning list, ensuring everything is cleaned to perfection.